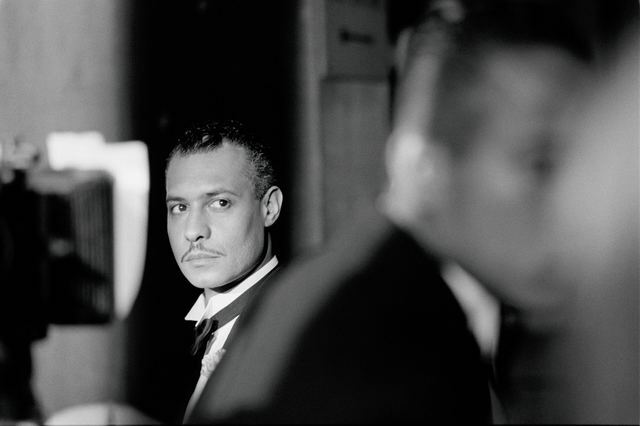 Looking for Langston (1989) is an homage by acclaimed artist Isaac Julien to Langston Hughes and the Harlem Renaissance. On show will be the award-winning and restored 16 mm film, accompanied by photographic work, that explore the fractured narratives of memory and desire. 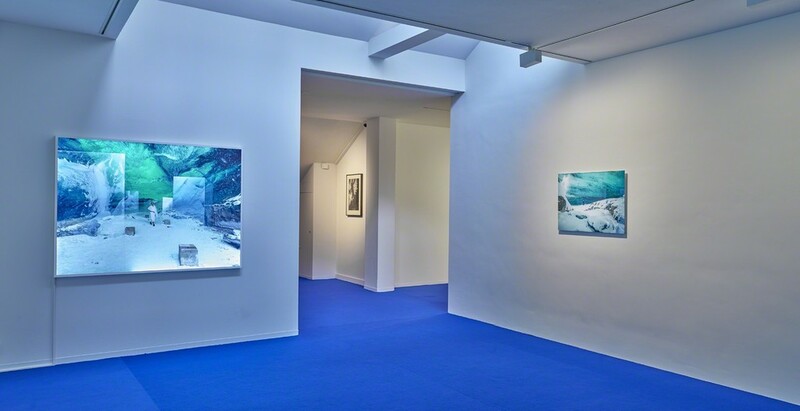 Galerie Ron Mandos is proud to present an exhibition on Isaac Julien’s seminal poetic film Looking for Langston (1989). The series is an homage by acclaimed artist Isaac Julien (1960, London) to Langston Hughes and the Harlem Renaissance. This award-winning and strong-minded screening, on show as the restored 16 mm film, is accompanied by photographic work, that explore the fractured narratives of memory and desire. Langston Hughes (1902-1967) is an American poet and writer. With his poems Hughes fought for awareness and empowerment of the Afro American community, and against racism and discrimination. Although it was commonly presumed that he was gay, he never openly came out. 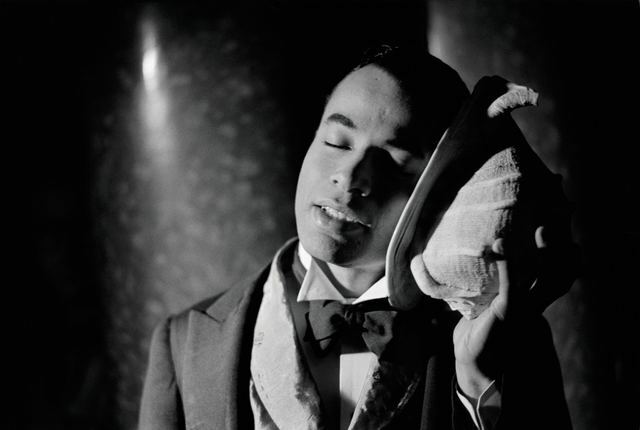 For Julien, the central question within the film was how to portray Langston Hughes as a cultural icon and, in terms of dealing with a repressed gay desire. He explores the ambiguous sexual subtexts of a period of rich artistic expression, and the enduring cultural significance of these pioneers’ work. Julien mediates with a cheerful perspective on Langston Hughes coming out. The exhibition shows a juxtapose between the past and the present. The Harlem Renaissance was a flowering of African-American social thought that was expressed through the arts in the 20s. Extracts from Hughes' poetry is interwoven with the work of cultural figures from the 1920s and beyond, including black poets Essex Hemphill and Bruce Nugent, constructing a lyrical and multilayered narrative. An interesting aspect of Looking for Langston is the controversy surrounding it. 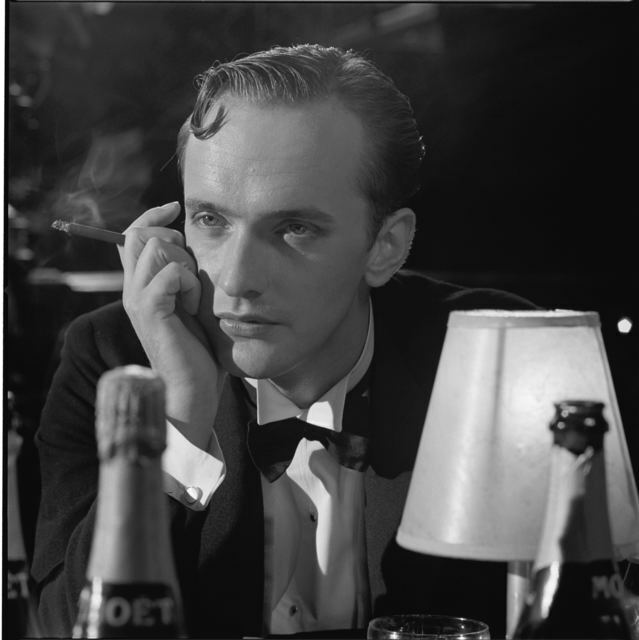 Though Julien contrasts the present with this elegant past - the voiceover references the ravages of AIDS which were at its height during filming - the work showcases a serious comment evaporated in its hazy look. While Julien was directing the film, he studied the photographs of James Van der Zee, George Platt Lynes and Robert Mapplethorpe. Working with Nina Kellgren (cinematographer) and Sunil Gupta (photographer), he created three photographic series. These photographs deploy an array of old and new technologies. For Julien, the photographs act as memorial sites. 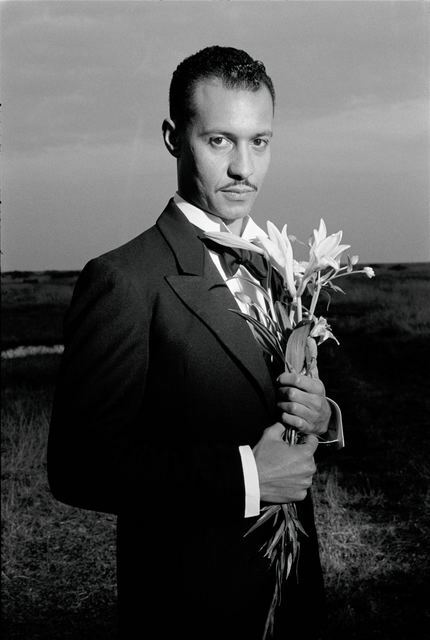 One can see a direct relation between these images imbued with references to the history of 1930s black and white African American photography and 1980s queer cultures. 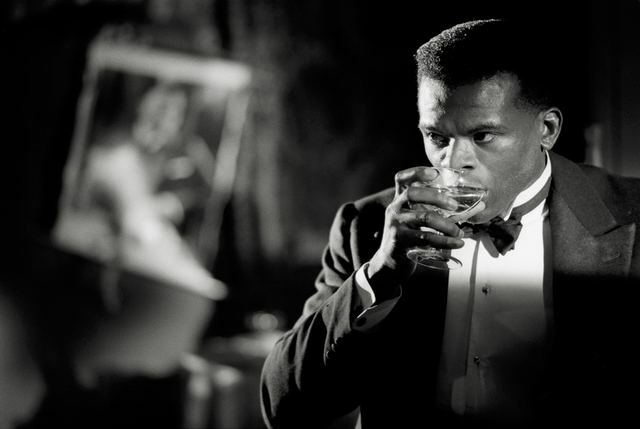 Isaac Julien: "The most interesting question for me proved to be: what did black artists actually want to say? What would their art look like if its internal dialogues were made accessible to a wider audience? ‘Looking for Langston’ came out of just such a conversation, one connected to black gay desire and to photography. But it was really born of thinking about the textuality that belongs to the innermost life of one’s consciousness." The film has won over half a dozen international awards. Julien studied painting and fine art film at St Martin’s School of Art, London. Having taught at Harvard University, Julien is currently a member of faculty at the Whitney Museum of American Arts and Professor of Global Art at the University of the Arts, London. Julien’s work can be found in many important public and private collections including Tate Modern, London; Centre Pompidou, Paris; MoMA, New York; Los Angeles Museum of Contemporary Art; Guggenheim Museum; the National Museum of Norway; Goetz Collection; Louis Vuitton Art Foundation; the Zeitz Foundation amongst others. Furthermore, he has won many awards including the Golden Gate Persistence of Vision Award (2014); Performa Award (2008); MIT Eugene McDermott Award in the Arts (2001); Frameline Lifetime Achievement Award (2002). Julien was nominated for the Turner Prize for his works The Long Road to Mazátlan and Vagabondia (2001).